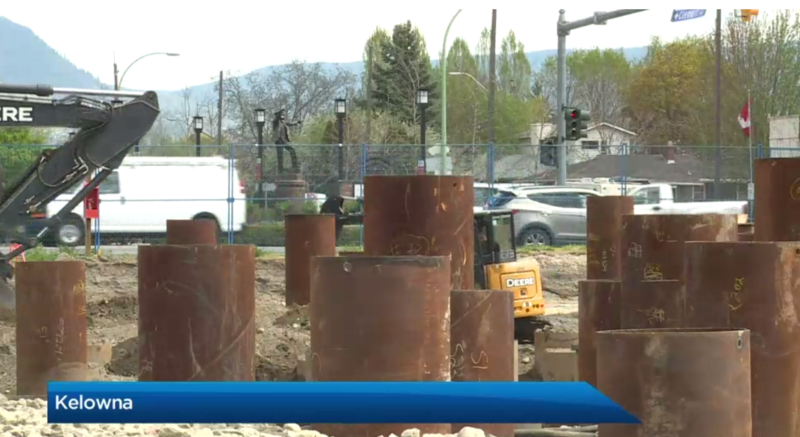 Driving through downtown Kelowna, it’s hard not to notice the flurry of construction underway. With several high-rise towers being built, there is an unusual process underway. Huge steel pipes are being pushed far into the ground. Kelly Hayes explains what they are for, and why they are only used in certain parts of the city….